Virtualization offers a ton of benefits in the form of cost saving, improved performance, reduced workloads and increased efficiency in business operations. This is why it’s an integral part of every business today. At the same time, the maintenance and management of these virtual machines have to be handled well because they are critical for the very operations of a business. In other words, these virtual machines can never go down, or for that matter, even slow down. To manage these virtual devices and to ensure they are up and running always, you need a proactive and comprehensive virtualization manager. Here’s a look at some of the best virtualization managers for different virtualization software such as Hyper-V, VMWare, ESXi and more. These Reviews and Features are a good starting point for choosing which one you should implement in your network and we highly suggest you download and start monitoring today. 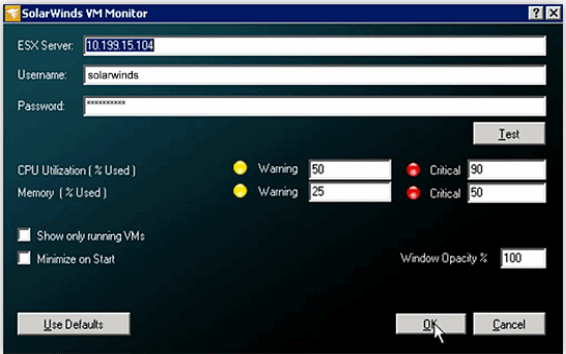 SolarWinds VM Monitor monitors VMware vSphere, Microsoft Hyper-V host and all the virtual machines associated with the host. Helps to view many metrics such as CPU usage, memory usage, network usage, configured VMs and running VMs. Allows to view the complete details of every VM. A paid tool called Virtualization Manager offers a more comprehensive control over virtual machines. It constantly assesses the environment to identify problems and even offers solutions to fix them. The cost of this tool starts at $2,995. 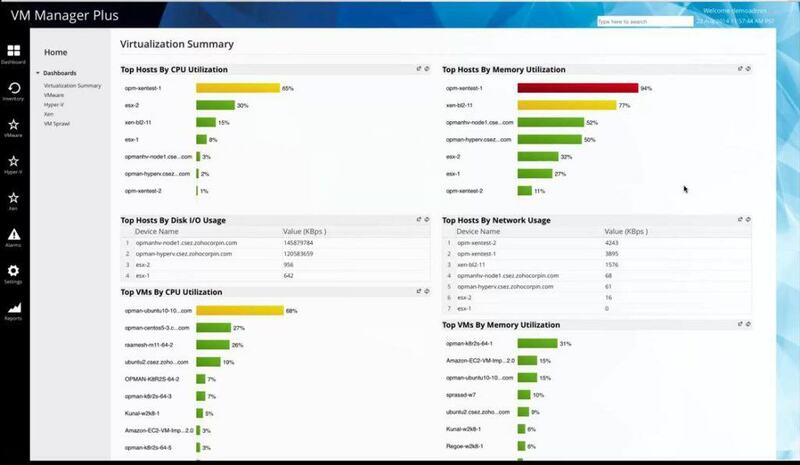 vRealize Operations Manager (vROps) monitors VMware devices to improve application performance, enhance efficiency and minimize disruptions. It provides insights into virtual devices using data collected from system resources. As a result, it is easy to identify issues, even before a customer notices a problem. Along with identifying the issue, vROps also suggests corrective action, so the problem can be fixed right away. 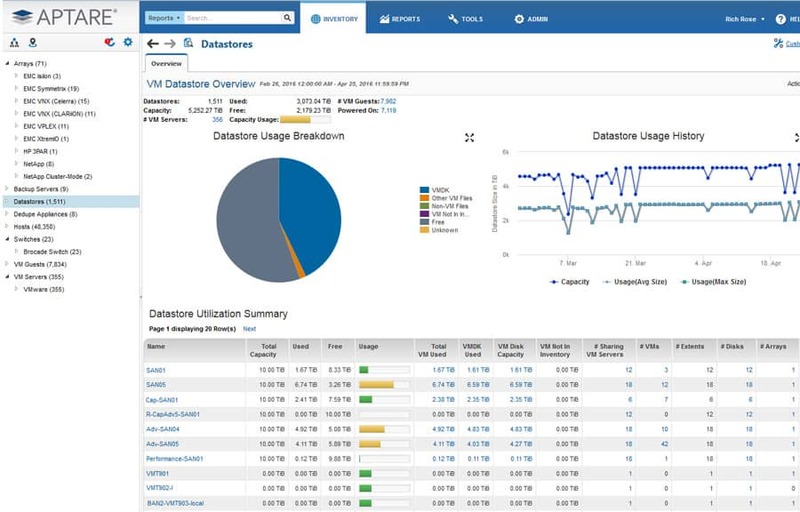 Besides such proactive monitoring of virtual networks, vROps also comes with many other useful features. Provides application-to-storage visibility across all physical, virtual and even cloud infrastructures. Comes with rich analytical tools to identify hidden issues and to find solutions to complex technical problems. vROps comes in three versions – standard, advanced and enterprise. Suite availability VMware vSphere with operations management VMware vRealize Suite and vCloud suite standard, advanced. 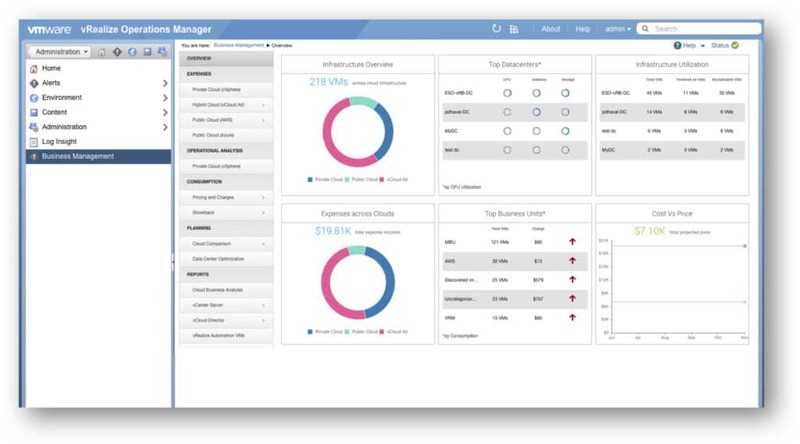 VMware vRealize Suite and vCloud suite standard, enterprise. Pricing is based on the number of processors for standard and advanced editions, and per virtual machine for standard, advanced and enterprise editions. Get in touch with the sales team for a personalized quote. APTARE Virtualization Manager gives valuable insights into the resources and storage management in any virtualized environment. Also, it gives a clear idea of the state of virtual machines at any point in time. Below are some of its salient features. Maps usage to storage array to know the real-time consumption of physical resources in a virtual environment. Uses predictive analysis to determine the amount of storage and resources required for each virtual machine and makes recommendations accordingly. Optimizes performance by providing resources in real-time. Comes with advanced visualization tools such as reports and graphs. APTARE Virtualization Manager supports ESX, ESXi, vSphere and Virtual Center (vCenter). Call the Sales for Pricing and Accurate Quote. 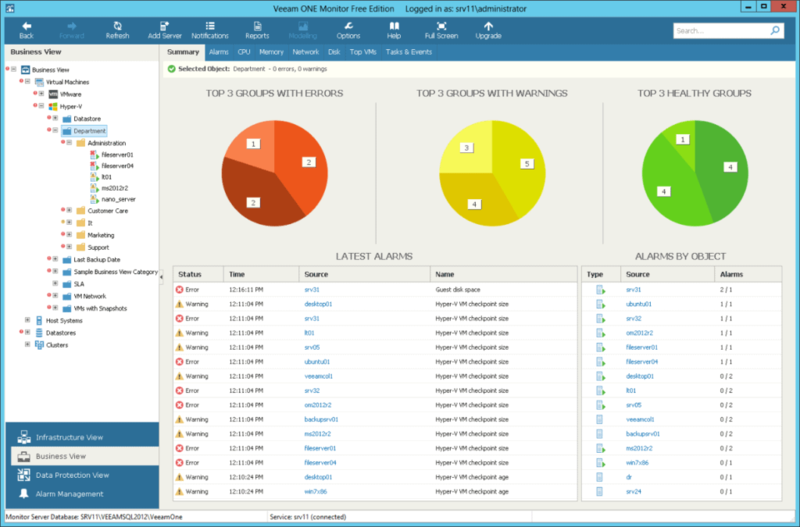 ManageEngine, a leading IT asset management company, offers a free virtualization management tool called VM Manager Plus. Presents information on the under-utilization and over-utilization of capacity to improve optimization and to plan for capacity. Comes with real-time fault management where alerts are sent by SMS and email. Requires no additional downloads. Configuration and use is simple and easy. Automatically discovers and classifies the virtual environment without any need for manual intervention. At the same time, it also gives users the option to manually configure or make changes. Built on OpManager, which is a highly scalable network and data center infrastructure management software. VM Manager Plus is available in a Free edition and has Paid versions as well. Veeam ONE is a good choice for both vSphere and Hyper-V. This tool also integrates well with other Veeam tools such as Veeam Backup & Replication to provide more advanced capabilities in physical and virtual environments. Here’s a look at its important features. Notifies users of availability and performance issues to avoid losses due to downtime. Comes with a real-time dashboard that has one-click and drill-down views. Allows users to define configuration parameters, performance metrics and filters. Comes with a custom report builder that can pull data from any field in any report into a single document. Veeam ONE comes in two versions – free and enterprise. The free version can be downloaded here. Assessment and reporting to determine if the installation of Veeam Backup & Replication meets best practices. This version costs $900 per socket and comes with a 30-day free trial. To conclude, Virtualization Manager Software is essential to have a complete control over any virtual environment. This tool helps to plan and understand capacity utilization and at the same time, helps to prevent a virtualization sprawl. It also offers advanced monitoring options, elaborate reporting and more. We recommend downloading a Trial/Free version of the tool that has the features you are looking for and get started on monitoring Virtual machines in your Environment – You’d be surprised at the insights that many of these tools provide right out of the box!